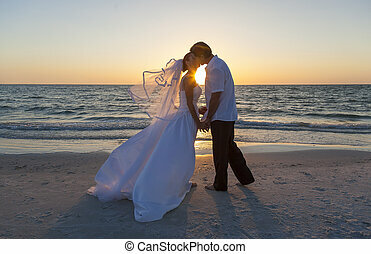 Bride & groom married couple sunset beach wedding. 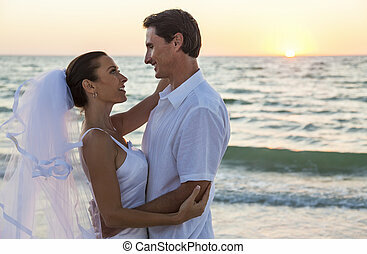 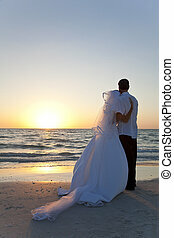 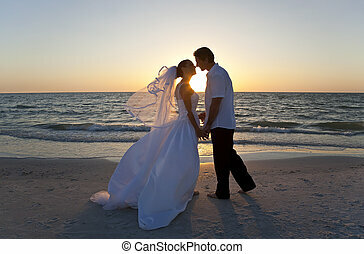 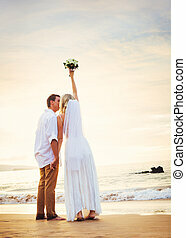 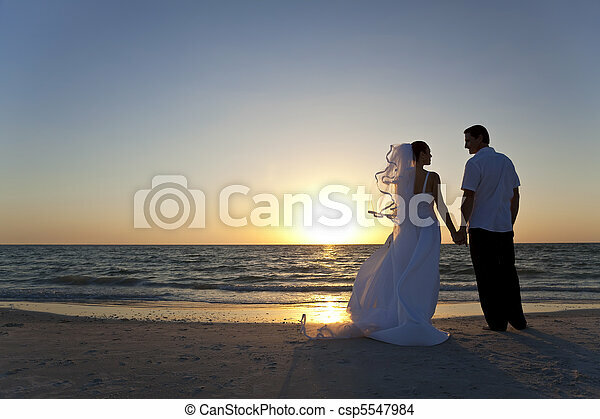 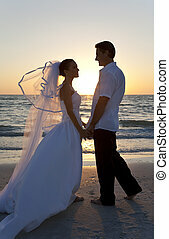 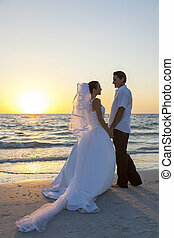 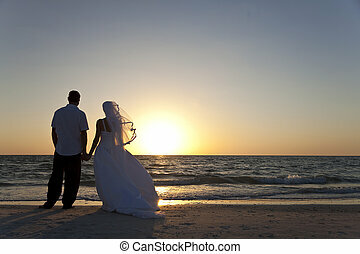 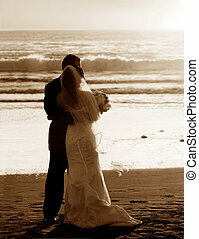 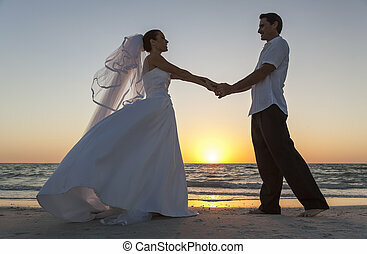 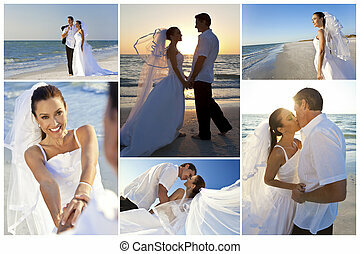 Wedding of a married couple, bride and groom, together at sunset on a beautiful tropical beach. 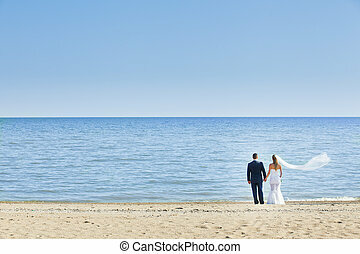 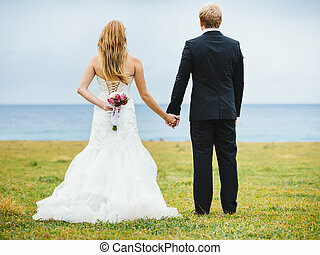 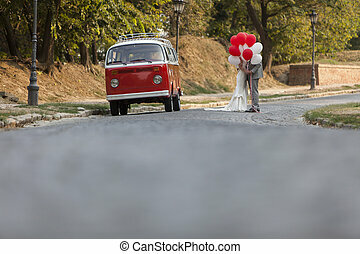 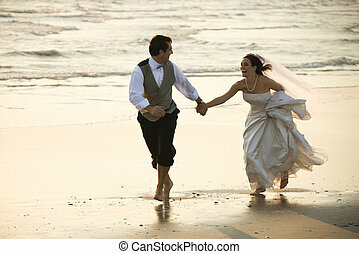 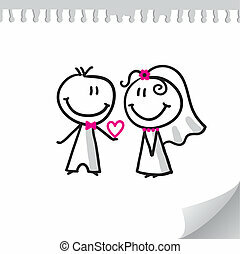 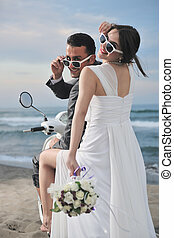 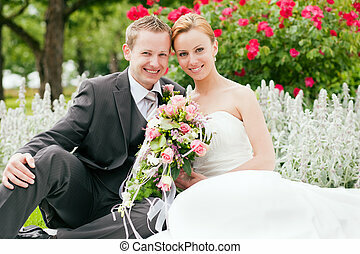 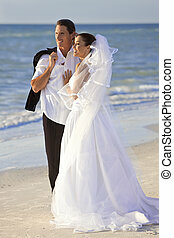 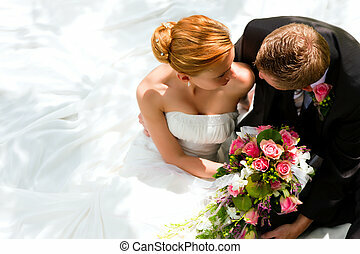 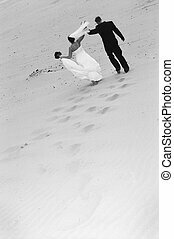 Caucasian prime adult male groom and female bride running barefoot on beach.